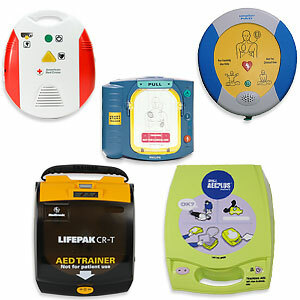 We carry almost all brands of AED trainers and CPR training manikins. Prepare your students with products from Ambu, Nasco, Laerdal, Prestan, Simulaids and so much more. We also carry all 2015 AHA ECC course material. Shop AED trainers, manikins and AHA ECC course material by brand below. Each trainer represents its AED namesake and works just like the real thing - without the shock. 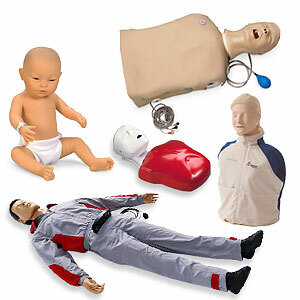 The most complete line of CPR and specialty training manikins available anywhere! Find the right training manikins and CPR dummies to train CPR, AED use, advanced medical procedures, and rescue exercises. 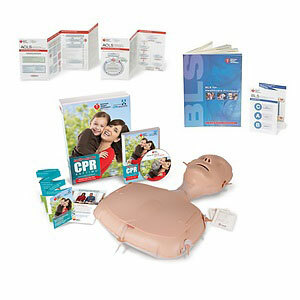 Get your American Heart Association (AHA) Training Materials for BLS, ACLS, PALS, First Aid, Heartsaver, and Friends & Family instruction courses.